I usually wear false eyelashes for more special ocassions but I'm not good at it. Even though I like them I still don't wear them as often as I would like. I definitely need to practice my fake lash application skills. 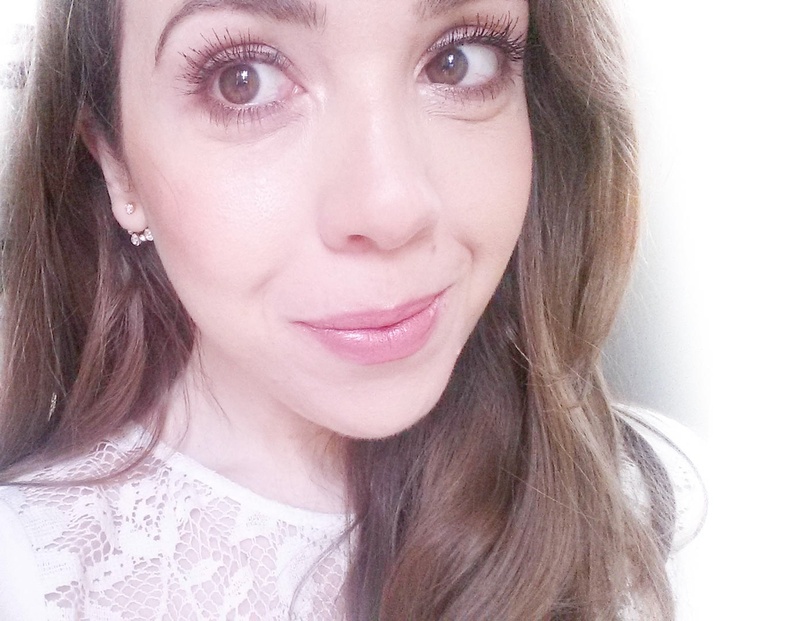 With all the christmas parties coming up I thought I would show you this beautiful handmade false lashes from BornPrettyStore I've received. I have to say I was very impressed with how natural these are. 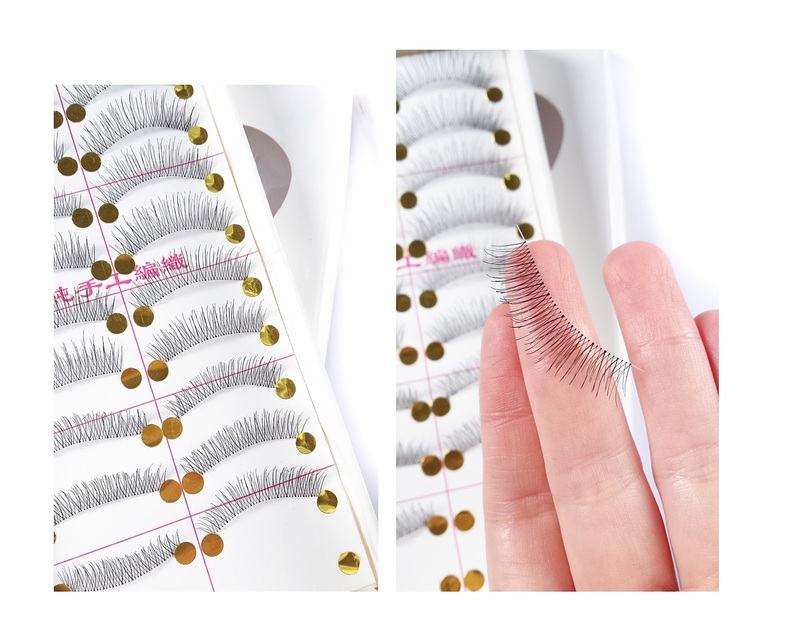 I really like these lashes because they look natural, they add length and volume to my lashes without being too dramatic. I'm not a fan of the full falsies look, I much prefer false eyelashes like these that are more natural looking. I think they're perfect for any ocassion, for everyday wear and for party wear. The band is thin and flexible and blend well with my real lashes. They're soft and super lightweigh so they're comfortable to wear. 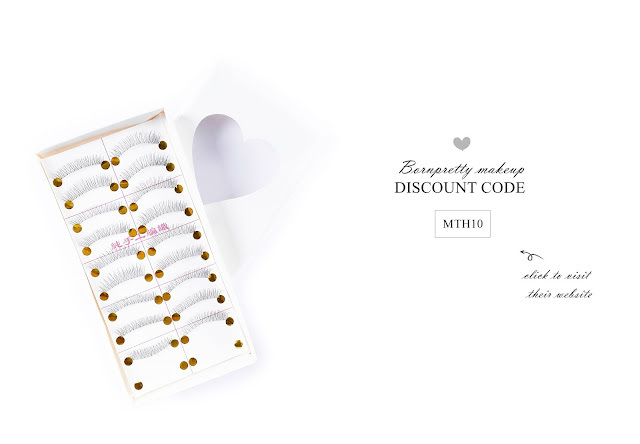 Great natural looking lashes and super affordable. 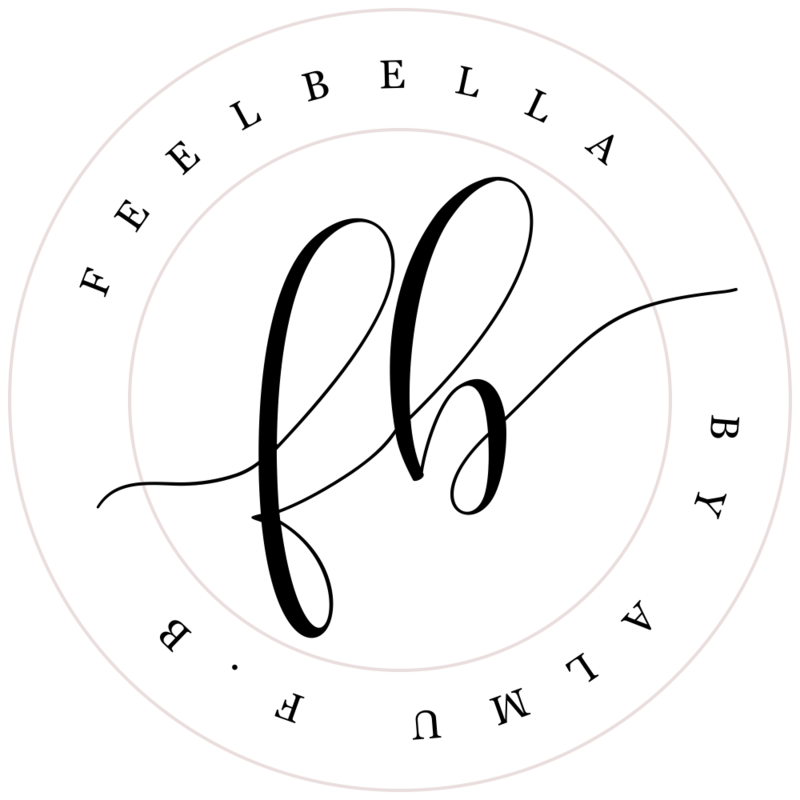 Take a look at the Bornprettystore makeup section here and receive a 10% off your order and free shipping worldwide with the coupon code below. I think they look super natural, what do you think?